What do you need to enhance the shooting experience? The best firearm? Well, then a .22 Magnum Rifle seems to be one of the most popular firearms nowadays thanks to its strength and power. A rifle scope also plays a vital role in shooting. It helps you target objects accurately and compliment your shooters skills. Therefore, we decided to bring up this article to help you choose the best .22 Mag Scope. In this post, you will be provided with the necessary information about how to choose the best scope and our top 3 picks. How To Choose The Best .22 Mag Scope? First of all, it enlarges your view. With your bare eyes, it would be hard to aim the target accurately, thereby, it can cause harm to the surroundings. 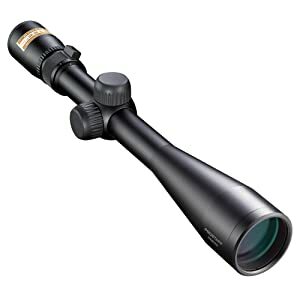 Secondly, a riflescope is designed to give you a clear sight even in the low-light environment. It increases the proportion of having an ethical shot. Moreover, what makes a scope special is its precision. For an iron ramp sight, the target can only be covered up to 6” at 100 yds. But for a riflescope, it can cover a ⅛” at 100 yds. It means that the scope can give you the chance of having a better shot even when dealing with a large amount of target. Before we go deeply to the next part of how to choose the best scope for you. Let’s us give you a quick explanation about the numbers on the scope. Understanding these numbers will make a comparison between different brands easier. Power means how many times a target can be magnified through a rifle scope compared to the bare eyes. Normally, you would see the power of 4x32. This number appears on a fixed-power scope in which an object is enlarged four times. It is suitable for hunting objects at a far distance. The higher the number, the bigger the target. Another common number you might see next is 3.5-10x50. This is a variable number expressed on the modern scopes these days. 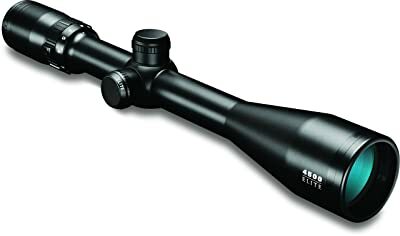 For this scope, you can customize the magnification within a range of 3.5-10 depending on your needs. To choose the appropriate power, you should consider your hunting type. For those who prefer hunting in a close distance, let’s pick up a power fixed scope that has low power as it provides you with the wider view in close cover. In case you want to aim the target at the long cover, 16X or 20X is the best choice. Or in another hand, variable power is also very useful as it allows you to vary the power with various choices. This is suitable for all kinds of hunting. You might be wondering the number “50” in a 3.5-10x50 above. The first one indicates the power. Meanwhile, the second one is the diameter of the lens. It is measured by millimeters. If you choose the larger number, it means that you will have a better view, more light and clearer. Actually, some people believe that a bigger tube diameter will have more effects in the dark environment. Nevertheless, it is not the truth. A large tube diameter assures to give your scope more strength and rigidity. Besides, if you want to make the height and wind adjustment, a bigger tube is also better. Most of the times, you will find the 1” dia tube. Some European tube dia is around 30 mm. So, from our analysis above, the greater objective lens and variable power seem to be a good pick, right? However, do you want to carry out a big size one that might weigh you down? Especially hunting requires a long period for the target. Variable power scopes are quite heavy. Therefore, it is better to choose the average size lens and a fixed-power scope for the convenience. It would be a waste if a rifle scope couldn’t work well in different weather conditions and landscapes. That said, adjustments are really important when it comes to choosing the best scope. You should notice whether it can adjust the windage, elevation, and grip or not. Durability depends so much on the scope designs. The one-piece structure can reduce the problems arose by assembling different parts of the scope separately. As mentioned above, magnification is essential. You should know your hunting type before choosing the magnification of a scope. Some people recommend a fully coated lens. Nonetheless, it can decrease the clarity of the lens. You will not want to skip this part. How amazing is it for a scope that can resist all kinds of weather, right? Make sure, it can resist fog and waterproof. What makes this product unique is its Spot On Ballistic Match Technology. Thanks to this feature, you can shoot faster and more accurately. Next, it gives you the eye relief of 3.7 in which means that it can eliminate the effect of a .22 recoil on your eyebrows. It is also versatile. You don’t need to worry about the weather conditions anymore as it is waterproof, fog and shock resistant because it is purged by nitrogen and sealed by O-ring. To bring you a clear sight and light in dark environments, the product is covered with the compounds of antireflective. A zero-reset is connected to the scope which makes simple field adjustments. Spot On Ballistic Match Technology can be accessed via smartphone. Easy to move around as it is small and lightweight. Bushnell is one of the best scopes manufacturers in the market. With this product, you can shoot the objects accurately by its target turret. Plus, you will be surprised to know that this scope can be suitable for all kinds of AR rifles. It is a variable scope with the ratio of magnification of 4. Regarding its body, the product is made of aluminum, one-piece that helps protect the scope from the shock. The lens is multi-coated which has a light transmission of 94%. It ensures you to have enough brightness in different conditions. The adjustments are ¼ MOA. A great number for the magnification. Besides, it also features with waterproof and resists with all kinds of weather conditions. A bit heavy but no problem at all compared to its amazing features. Vortex Optics Crossfire II 2-7×32 delivers the great view with clear sight even in low-light conditions thanks to its multi-coated optics. In terms of waterproof, the scope is also purged by nitrogen and the cabinet is sealed so it resists fog, dust, and water well. It is durable because the construction is rugged. Therefore, it can still be sturdy even if the product bears shocks from the outer conditions. The thing that makes it different from the above products is the ability to reset into zero effortlessly thanks to the capped reset turrets. The multi-coated lens makes the light become excellent in unfavorable conditions. The parallax is 50-yard - a quite good number for a scope. The target appears not really clear. A rimfire scope is very essential to increase your shooting experience on the .22 Mag. However, there are tons of products on the market to choose from. It could be a tough decision for you. Therefore, we give you our top 3 best products for the .22 Mag Scope. They are three of the amazing products in our opinion. The reason we think this one is the best shot because it comes from the well-known brand. It includes almost all of the unique features of the other two. More importantly, it shoots perfectly at a far distance and has eye relief. Plus, it is created by using modern techniques compared to the other two products. 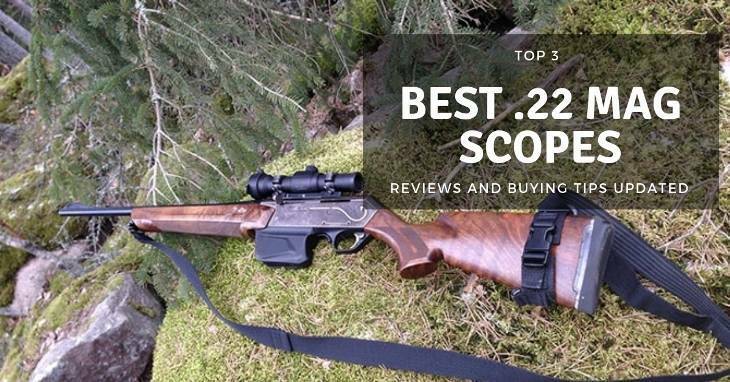 We also provide you with some tips on how to choose the best .22 Mag Scope for you. Consider it carefully before purchasing a product.